Tiny homes are cool, but right now, they’re caught in code limbo. I recently attended the Tiny House Jamboree in Austin, Texas, where I spoke on the topic of conforming tiny homes to site-built IRC codes while retaining the light weight that guarantees their mobility. My construction effort proved to be a daunting challenge. I managed to knock about half the weight off a typical 12,000-plus-pound tiny home. But it’s hard to get much lower. It’s also not the direction the new Tiny Home Industry Association (THIA) is moving. Instead, THIA would like to see a tiny-house-specific code—special rules for a special class of buildings. Right now, in the Wild West of tiny home certification, most so-called tiny houses on wheels (THOWs) are certified to ANSI standards, the same as RVs. That means they don’t meet HUD standards for manufactured homes, so you can’t put them in a mobile home park. And, many cities have strict rules limiting how long you can live in an RV. Also, RVs are not supposed to be lived in year round (although many RV parks operate in the gray area of whether tiny homes are truly “RVs”). The alternative—tiny homes that meet IRC codes for permanent dwellings—often weigh up to 24,000 pounds (12 tons). That’s where many tiny home builders are operating. But many buyers think they’re buying a “mobile” structure. Another key element in the tiny house explosion is the entry of RV manufacturers into the market. At the shows, so-called “Park Models” often outnumber “tiny” homes. These 10-foot-wide units, under 400 square feet, feel spacious and appeal to a wider audience. 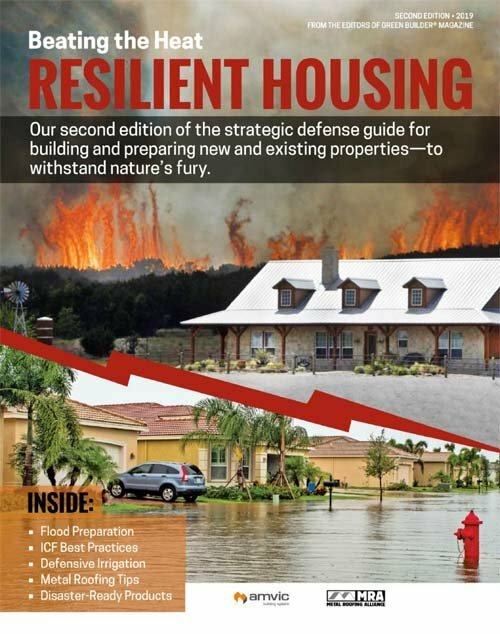 But they too are ANSI-compliant and not built for year-round occupation, nor with extreme storm resilience. The reality is that there is no code specific to tiny housing, just an appendix in the 2018 IRC that spells out certain details. Creating a new code is a daunting task, but perhaps not impossible. Most THOWs are super energy efficient, operating at or near net zero. With just a little planning, a small solar array can push them into net-zero-plus territory. The right combination of innovative materials, in my view, could make them far stronger, lighter and weather resistant than current RV codes require. I would especially like to see a “hybrid” code classification: A tiny home that can roll out when a monster storm surge threatens, but is anchored to a permanent foundation if the owner wants to stay put. I’m agnostic about whether the code should be part of the current IRC or a standalone specification. The deeper you dig in to the tiny house “movement,” the more you realize that it’s not a fad. It’s the natural, safe harbor from the shifting cultural and financial landscape of the United States. It’s no coincidence that The Align Project, our exhibition home at the NAHB International Builders’ Show in Las Vegas next February, will feature a tiny Kasita home that’s a fraction of the size of the annual “American Home” monstrosity presented by our competitors. The reality of the marketplace is shifting. 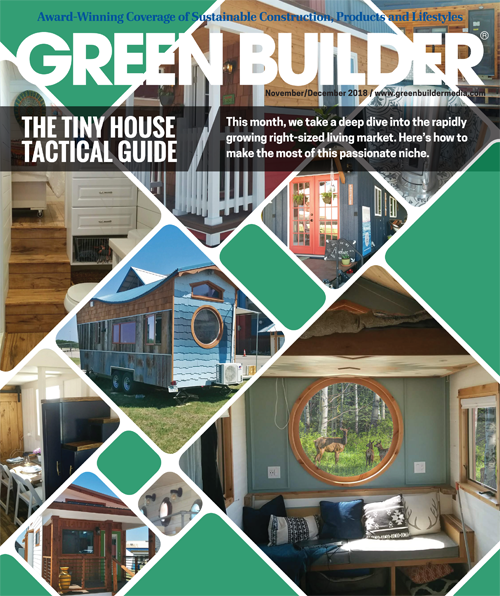 That’s why we’ve written the Tiny House Tactical Guide, included in our November/December issue. We hope you’ll join us in embracing the tiny trend. High-performance compact homes are what people want, and they’re willing to pay for quality. Let’s make that goal easier.